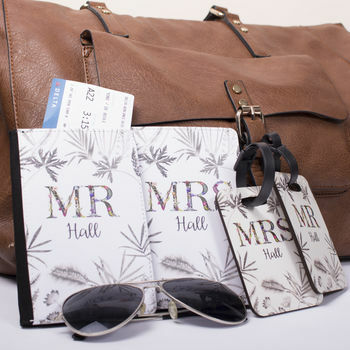 A perfecft wedding gift for any bride and groom before they jet set off on their honey moon. Matching couples, his and hers passport covers. Passport covers make wonderful gifts for anyone who is excited about travel, life and adventure. After all, passports are our ticket to the world and need to be kept safe, secure and should always be instantly recognisable. 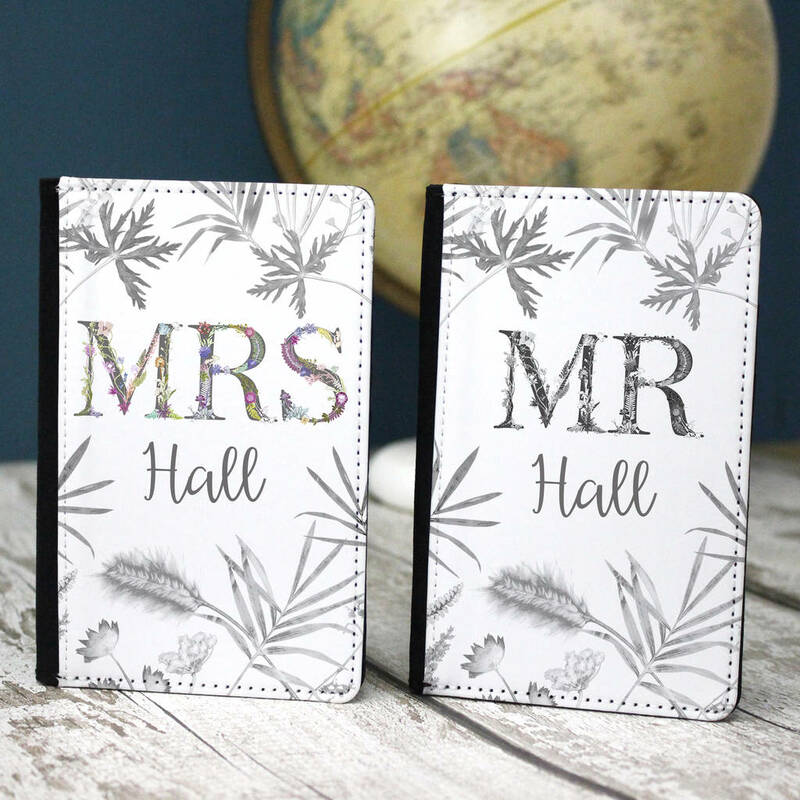 Our passport holders look unique, stylish and can be fully personalised to suit the user. This beautiful wildflower alphabet is created by artist Gillian Arnold and is composed entirely of English flowers hand picked, pressed and printed in the North East. To personalise this passport, let us know the last name of the couple and we will place it under Mr and Mrs.
Gillian Arnold passport holders are made from a sturdy PVC which is water resistant and will keep your passport safe. This product is dispatched to you by Gillian Arnold.